Eyelid surgery, or blepharoplasty, is an eyelid rejuvenation procedure that improves the appearance of the upper eyelids, lower eyelids or both. Upper blepharoplasty surgery involves removing saggy or droopy excess skin of the upper eyelid. In some cases, this skin may even cause difficulty with opening the eye & vision is negatively impacted. Lower blepharoplasty surgery improves the appearance of under-eye bags or loose skin that make the eyes appear tired and/or aged. First, if you are interested in blepharoplasty, consider booking a cosmetic consultation with one of our board-certified physicians. They’ll be able to review the expectations & determine whether or not you would benefit from this procedure. What will my eyelid surgery be like? The length of the procedure will depend on whether or not we are doing both the upper & lower eyelid and if they are being done in combination with other procedures. All eyelid surgeries are performed in the surgical wing of our Charlotte, NC facility using either local or twilight anesthesia (no general anesthesia is necessary). Once the procedure is complete, we’ll go over your aftercare instructions and review how to tend to the small bandages on your eyelids. Finally, you’ll be ready to head home for recovery! Your main focus during the first 24 hours after surgery will be to rest with your head slightly elevated. 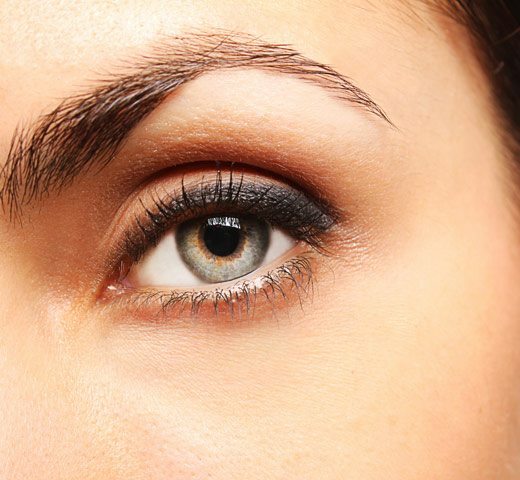 What are the potential side effects of eyelid surgery? Certainly, we understand the concerns associated with surgical procedures. As a result, you can rest assured that our primary goal is to provide you with the safest & best care possible. Of course, it’s important to remember that there are side effects that can occur with any surgery. First of all, you should expect some degree of swelling, bruising, pain, irritation and/or dry eyes in the first 7 to 10 days. However, we strongly believe in patient education and will thoroughly explain how to manage all of these potential side effects during your pre-operative visits. What is the expected downtime with eyelid surgery? “Social” downtime is typically expected to last for about 7 to 10 days. It’s at this time that we’ll remove your stitches (if applicable) and evaluate your eyelids. Also, it’s likely that the majority of your swelling will have gone down by this point. The most noticeable side effect will likely be redness of the surgical sites. Lastly, if everything is healing well, you’ll then be allowed to resume your normal cleansing routine & ladies will be cleared to wear makeup again. When should I expect to have results from eyelid surgery? You’ll see continued improvements for about 3 to 6 months after surgery as any remaining swelling, inflammation & discoloration fade away. Of course, this part of the process varies from patient to patient simply due to different healing times. You’ll be given detailed instructions for aftercare and your adherence to these steps is vital to your overall results. For example, sunglasses help protect your eyelids from UVA & UVB sunlight and reduce the risk for discolored scars. First of all, eyelid surgery doesn’t prevent you from continuing to age. However, the results from this procedure are both dramatic & very long-lasting. In fact, some patients have reported that they’re still very pleased with the results as much as 7 years post-surgery.